“Take courage! It is I. Don’t be afraid.” Jesus said. What a relief, it is the Master! Peter thought. Everyone on the boat thought it was a ghost they saw walking towards them on the water, but he knew better. He knew it could only be Jesus. A chill ran through Peter’s spine. Jesus was telling him to walk out to him on the water! Peter was aware of the other disciples shocked silence as he swung his leg over the side of the rocking boat. No problem! He thought. He was sure of all the disciples; he was the one with the deepest connection and the strongest bond! He would even die for Jesus! After all, hadn’t it been only his name Jesus had changed from Simon to Peter. Solid-as-rock-Peter. And hadn’t he been the one that correctly declared that Jesus was the Messiah, The Son of the Living God; when Jesus asked him who he thought Jesus was? His eyes on Jesus he took a few steps, like a toddler takes to go across the room to the arms of his waiting father. He was doing it; he was walking on the water! After another few steps, the wind-tossed sloshing waves felt a bit too real. Fear gripped him. A sense of insanity penetrated the core of his being. What am I doing? 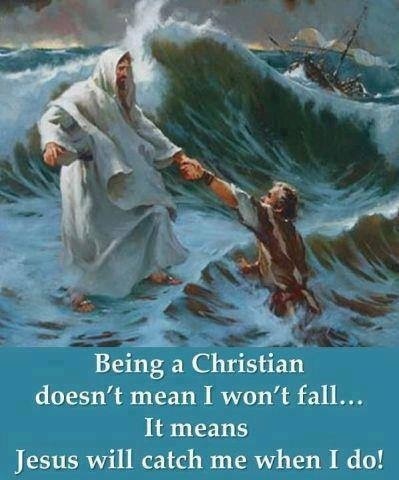 A person can’t walk on water! The Master, yes of course, He can do anything. I have seen Him heal the sick, give sight to the blind, raise the dead, but that’s the Master! Peter began sinking. I will drown, he thought. “Lord save me!” he yelled out. Immediately he felt himself being pulled up as Jesus grabbed his hand. Shame washed over him. He felt stupid for ever leaving the safety of the boat. What was he thinking to begin with? He had never been much of a swimmer. Why do I always have to be the one to open my big, fat mouth or act rashly? Peter chided himself as he sat quietly in the boat. Out of all the disciples, Peter was the one Jesus often needed to chastise and rein-in. Peter rebukes Jesus: Mark 8-31-33 And He (Jesus) began to teach them that the Son of Man must suffer many things, and be rejected by the elders and chief priests and scribes, and be killed, and after three days rise again. He spoke this word openly. Immediately, while he was still speaking, the rooster crowed. And the Lord turned and looked at Peter. Then Peter remembered the word of the Lord, how He had said to him, “Before the rooster crows, you will deny Me three times.” So Peter went out and wept bitterly. Peter repeatedly stuck his foot in his mouth. He behaved rashly and impulsively, yet still, Jesus chose Him to lead the other disciples. Way too many times! Thank goodness the only water I ever tried to walk on was frozen solid. Are you a Peter? Always so eager to do things right, but end up embarrassing yourself or stabbing yourself in the back with your own words or haste? Been there? There is hope. Here are a few wise words to live by. Proverbs 13: 16 Every prudent man acts with knowledge, But a fool lays open his folly. It has taken a good part of a lifetime for this to truly sink in, but I still need to work on this! I admit with my hands raised that I am very, very much like Peter! You’ve got a whole lot of company!